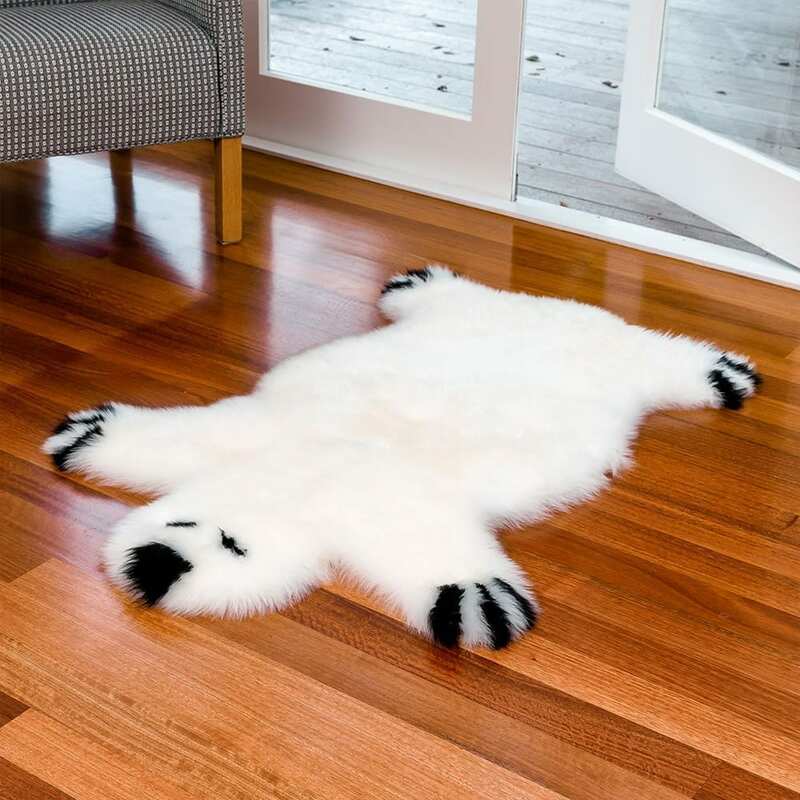 Bring out the fun in everyone with this gorgeous long wool Bowron Bear Rug, 100% natural sheepskin. The natural fibres of Sheepskin are soft and very comfortable for children to play on. Bowron Bear will add a touch of magic to your child’s bedroom or play room. Sheepskin is easy care: – a vacuum or gentle brushing is generally all that is required. Had purchased this for my now 3 year old when she was a year old it has been our favorite item. She loved the texture and is great for sensory stimulation also looks beautiful in any room of the house. Worth every dollar for its durability to its statement piece in any room. Thanks so much, that’s really appreciated! The rug was delivered today, it is awesome thank you. It’s gorgeous. Plush and cute. Can hardly wait to sink my toes in it! Hi and happy new year! Just for tell my order arrived in good conditions. Thanks!